الكثيرون يعتقدون ان كلمة شيكاغو التي تطلق علي المدينة الثالثة المهمة في الولايات المتحدة هي كلمة انجليزية امريكية و قليلون من المهتمين و المطلعين فقط يعلمون غير ذلك. حسنا، اجد نفسي كثيرا في حالة فصل بين التعليم و الثقافة و ذلك لانني اجد كثيرا من المتعلمين غير مثقفين، الا انه من النادر ان يحدث العكس. 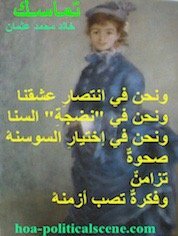 اما شيكاغو فليس لها اشتقاق مماثل فالكلمة واحدة و لها معني واحد رغم ان ترجمته تاتي بكلمتين. 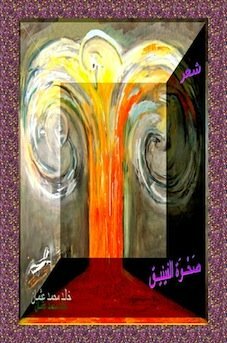 و الكلمة اساسا تنتمي الي مجموعة اللغات القونكيويان التي يتحدث بها الهنود الامريكان الاصليين... لا تقل الهنود الحمر هنا، اذ ان هذا الوصف هو ما اطلقه البيض و هو يعتبر تمييزا عنصريا. الا ان Native American تعتبر الأفضل في التوصيف السلالي. 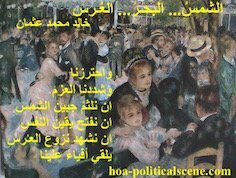 اه، ربما البصيرة والحكمة ايضا! ازرعوا البصل ليغطي كل ما تبقي من البلاد... عندها سيعرف الهنود السودانيون هناك كيف يستعيدون بكارة حريتهم المغتصبة باسم الدين و اسم الطائفية و اسم القبيلة الزائفة. 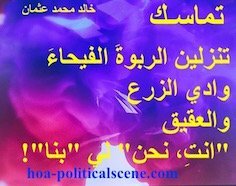 👍 Read the comments on this poetic entry at شيكاغو والهنود السودانيون - Comments. 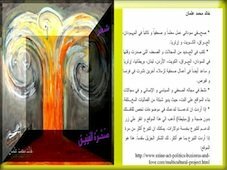 🔊 Read the entry page to this poetry contribution at HOAs Arabic Prose. 👍 Read other poetry by the Ethiopian poet, Andualem Ambaye at Directive, Directive - Comments, Love Spice, Love Spice - Comments, Etiolate Life, Etiolate Life - Comments, The Hangover, The Hangover - Comments, The Superlative and The Superlative - Comments. 📖 Use any of the forms at any cultural page to submit your poetry and help me help you publish your poetry book through the publication system of the HOA's network. Or use the form at the cultural project page to help you publish any genre of books. 📝 Use the comment links to share your perspectives about all that you read here. You can criticize and correct some language mistakes too. 📢 Share the page with your services using the buttons at the left column below the navigation bar, or at the bottom of the page. 📖 Subscribe to HOA Political Scene Newsletter here to receive updates about politics in the Horn of Africa in addition to some useful gifts. 📩 Forward HOA's Political Scene to your friends here. 🙏 Become our friend at Horn of Africa's Friends here. 🌺 Are you in Eritrea, Ethiopian, Sudan or in any place in the Horn of Africa? Are you from any city or village in the Horn of Africa? 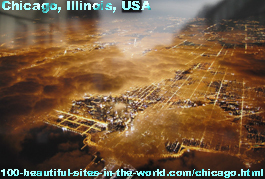 Write about it and upload beautiful pictures at Any Beautiful City here. 🌷 Better? Write about Arba Minch, its location, tourists' attractions, hotels and Arba Minch University and upload beautiful pictures from this beautiful place that lies about 500 kilometers at the south of Addis Ababa. ✈ Read about beautiful places in Sudan and in Ethiopia such as Gondar and Kordofan here.